Working on a forthcoming review of David G. Robertson’s UFOs, Conspiracy Theories and the New Age (2016), I’m reading Mark Pilkington’s Mirage Men (2010), an important source for Robertson’s history of the phenomenon. On the pages concerning the Roswell crash, one reads, first, in a passage from the famous FBI memo of 8 July 1947, that: “Major Curtain further advised that the object found resembles a high altitude weather balloon…” (39). Pilkington then draws our attention to USAF General Nathan Twining’s memo of 23 September 1947, to the effect that the USAF lacked “physical evidence in the shape of crash recovered exhibits…” (40). Finally, there’s reference to the USAF’s official version of events The Roswell Report: Fact Versus Fiction in the New Mexico Desert (1995), whose author is retired USAF Colonel Richard Weaver. What must strike someone with a literary mind or training is how telling all these names are in the way they evoke textuality (Curtain, Twining, Weaver). One of the delights of reading the UFO myth is just how patterns of this sort present themselves, as if the myth itself were being written in a manner as self-reflexive as Homer’s Iliad or Cervantes’ Don Quixote. Here, the very names wink at us, suggesting an unsettling fabrication of the real itself…. If it’s not too bizarre a claim to make in the context of a cultural field as marginal and questionable, in ufology Donald Keyhoe is a monumental figure. No history of the UFO can overlook his contributions as a researcher and activist, as director of the National Investigations Committee on Aerial Phenomena (NICAP) and one of the first and most forceful figures to press for Congressional hearings into the question of the UFO, arguably inaugurating similar, continuing efforts on the part of today’s Disclosure movement. What’s telling, either about the UFO as such or Keyhoe’s insight into the phenomenon, is the the way his original conclusions set forth in his article for True Magazine “The Flying Saucers are Real” and his book of the same title, both published in 1950, continue to set the ufological agenda. In line with the USAF’s own reasoning, Keyhoe posited what is now known as the Extraterrestrial Hypothesis (ETH), that UFOs are spaceships of interplanetary origin. Keyhoe and the Air Force arrived at this conclusion by a process of elimination. Some of the reported sightings could not be explained away as misidentifications or hoaxes; neither the American military nor any of its allies or enemies possessed the aeronautical technology to produce aeroforms with the flight characteristics of the disks, nor did it make sense that if the disks were experimental aircraft that they would be tested in ways that might allow this new weapon to be observed or even captured or that threatened civilian life and limb and that had actually resulted in the death of one airman, Thomas Mantell; therefore, since no conventional, earthly explanation existed to explain these uncanny flying machines, they were most likely of extraterrestrial origin. This argument in support of the ETH is repeated to this day. These anthropocentric and technocentric prejudices remain as operative in much of the UFO imaginary as they go unremarked. An equally persistent set of concerns orbits the potentially disruptive consequences of the revelation of the reality of extraterrestrial, technologically advanced civilizations having appeared in our skies. Keyhoe mulling this matter over with his editor as they prepare to publish his article for True Magazine reflects that “public acceptance of intelligent life on other planets would affect almost every phase of our existence—business, defense planning, philosophy, even religions” (139), a supposition that inspires the 300+ pages of Richard M. Dolan’s and Bryce Zabel’s 2012 book A.D. After Disclosure: When the Government Finally Reveals the Truth About Alien Contact. Here are nascent themes in ufological speculation that persist and have been developed to the present day. First is the belief that militaries and governments around the world have or continue to investigate UFOs. Secondly, their efforts have borne fruit in determining the (usually extraterrestrial) truth of the phenomenon. Thirdly, because of the explosive nature of these discoveries, those who hold these secrets dissimulate concerning the phenomenon to dissuade serious, public interest and to maintain either the potential or real technological advantage these secrets bestow, or, alternatively, they are engaged in a process of public education through a combination of leaks, disinformation, and popular culture (such as movie and television) to prepare society for the ultimate revelation of the reality of the extraterrestrial presence. Hand in hand with this motif is that of the insider able to access this otherwise secret or tactfully unpublicized information, a figure that has morphed, today, into the whistleblower. Keyhoe, as an ex-Marine pilot, maintained many contacts within the military and government. Most of the narrative of his books is conversations he has with these inside sources. The final chapters of The Flying Saucers are Real find Keyhoe studying over two hundred secret Air Force files released to him and his petitioning a general of his acquaintance for the more than one hundred he had been denied! This figure with access to inside information undergoes a change as the official relation to the phenomenon (at least in its public guise) develops from secrecy, to debunkery, to indifference. The truth is no longer obtained via official documents from official channels, but via leaked or hacked documents or whistleblower, witness testimony. The source of this particular story is given as George Koehler (165), who later admits to its being “a gag”. But the rumour also brings to mind a more famous fabrication by Frank Scully, whose Behind the Flying Saucers is published the same year as Keyhoe’s first book. Regardless of who first invents this scenario, we find here the vector for what will be called Crash/Retrieval Syndrome, a string of increasingly elaborate stories concerning crashed and retrieved flying saucers and the capture of their pilots, dead or alive, that will bloom with the rediscovery of the Roswell Crash and subsequently flower into a wildly variegated myth of reverse-engineered alien technology, secret treaties between various ET races and earth governments, breakaway civilizations, exopolitics and disclosure, a term that perhaps appears for the first time in the UFO literature in Keyhoe’s important first volume. Some readers might be tempted to take this post as a panegyric to Keyhoe. My purpose, however, was to outline how even his earliest ufological publications set the ufological agenda to this day. Most ufology, arguably, adheres to the anthropocentric ETH Keyhoe sets out. The social repercussions of the truth of the ETH are likewise seen to be still as acute and wide ranging. For this reason, the motives to maintain secrecy around private and state research into and discoveries concerning UFOs and ETs are the same Keyhoe saw. The way this secrecy is breached has changed since Keyhoe’s day, as I note, but the basic patterns of disclosure (Keyhoe’s word) are still affirmed. 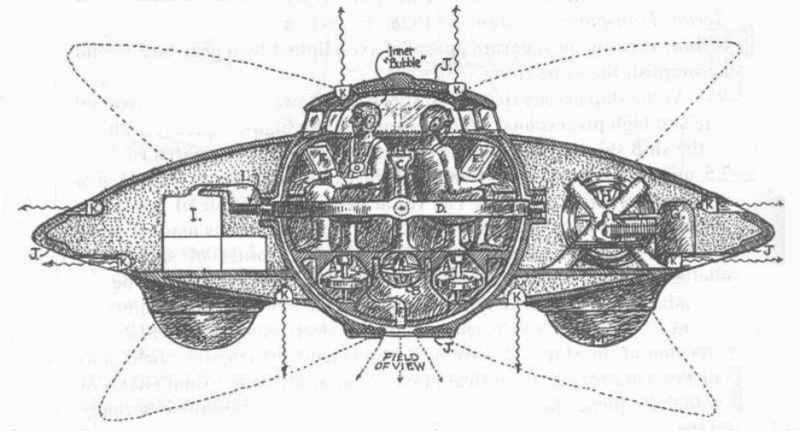 Moreover, the myths of Nazi flying saucers and Crash/Retrieval Syndrome are still with us, however much in more developed forms than the nascent ones present in The Flying Saucers Have Landed. Why ufology should remain static in this way is itself a question that demands to be looked into….